Dependability is the hallmark of any good truck. Pickups like the Toyota Tacoma and Nissan Frontier are great, versatile options for drivers around Indianapolis, Avon, and Plainfield. So, which one is right for you? Andy Mohr Toyota helps you decide with this 2019 Toyota Tacoma vs. Nissan Frontier comparison. To manage these engines, you’ll have a choice between a traditional 6-speed manual transmission and a versatile 6-speed Electronically Controlled Transmission with intelligence (ECT-i). These powertrains also won’t be able to provide you with as much dependability out of their transmissions. Your options for transmission are a 5-speed manual, 5-speed automatic, and a 6-speed automatic. The 2019 Toyota Tacoma and Nissan Frontier each offer two different cabs, as well as both a standard and extended bed option. However, the Toyota has a slightly longer and deeper truck bed, which allows you to carry more cargo more securely. 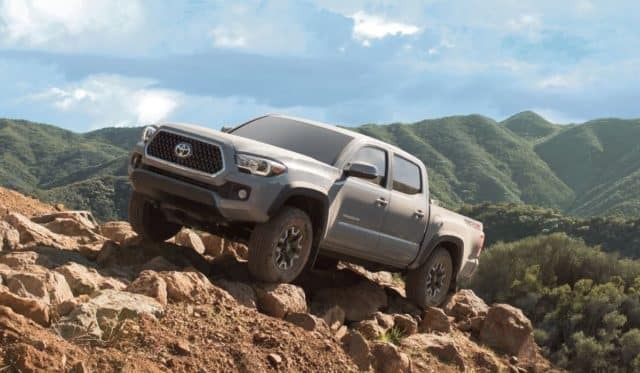 You can also drive over obstacles in the road or go off-roading with more confidence in the Toyota Tacoma. 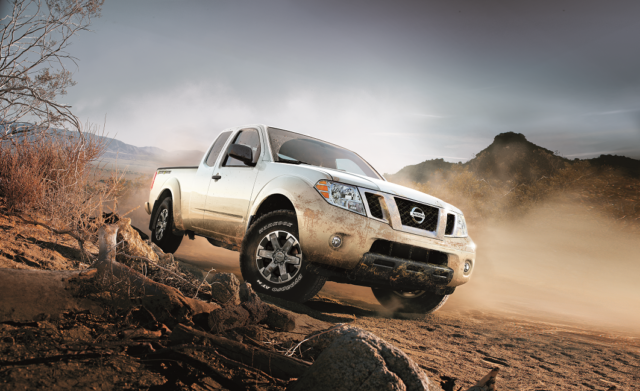 It has a 9.4-inch ground clearance, while the Nissan Frontier stands just 8.7 inches above the ground. You’ll also have an easier time backing up and hooking up to your trailer. A 7-inch screen on your dashboard serves as both the home of your infotainment system and shows you what the Integrated backup camera sees behind you. While the 2019 Nissan Frontier also has a backup camera, it doesn’t offer many of these driver assistance features. Visit Andy Mohr Toyota to test drive the safe and capable Toyota Tacoma. Drivers and truck lovers in Indianapolis, Avon, and Plainfield can count on it to provide you with a reliable and comfortable ride in a truck that protects you and gets the job done. To learn more about this 2019 Toyota Tacoma vs. Nissan Frontier comparison, contact us or visit our certified Toyota dealership.